The view out the window is as important as how much light and ventilation the window provides. Windows connect us to the outdoors and enhance the sense of interior space. For this reason, the placement and size of your windows -- and what you'll see from them -- is no small consideration. 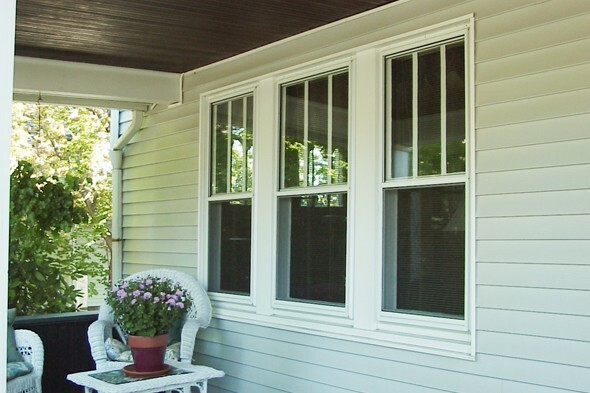 Where your windows are placed, how large they are and what type they have a significant effect on the amount of light and ventilation they provide. A south-facing window lets in the most light and is desirable in all but the www.youtube.com/watch?v=Pi1QqcSzUIk hottest climates. A north-facing window provides soft, diffused light. Because of the low angle of the sun in the morning and late afternoon, light from east- and west-facing windows may be intense. Unfortunately, glass isn't nearly as good at conserving energy as an insulated wall, so glazed doors and windows can be responsible for a major part of a home's energy loss if they're not well-chosen. Storm windows and doors and window coverings help retard heat movement, but the surest and most effective way to save energy is to utilize high-performance glazing. Check two important ratings when buying windows and glazed doors: the R-value and the overall U-factor. An R-value measures a material's resistance to heat transfer; the higher the R-value, the better the insulating properties of the glazing. The U-factor measures overall energy-efficiency. It tells you the rate at which heat flows through the entire window, door and frame. The lower the U-factor, the more energy-efficient the window or door. Insulating glazing typically has two, or sometimes three, panes of glass sealed together with either air or argon gas trapped between them to act as an insulator. Some units have a plastic film suspended between two glass panes. If the unit is properly sealed, condensation shouldn't occur between the panes; sometimes a drying agent (called a desiccant) is used in the spacer (the strip inside the panes, which helps keep them apart) as added insurance against condensation.